A 4-day experience to grow your creativity, amplify your voice, discover your magic and belong to a creative tribe. India’s First Creative Forest Festival, for anyone who is or want to lead a creative life. Founders, Professionals, Rusty Creators, Corporate Misfits and explorers from Art, Music, Design, Fashion, Film, Food, Photography, Tech and genres that are yet to be defined. This question is for the ones that refuse to settle, the ones that are curious and driven by purpose, the ones that are not afraid to take leaps of faith and making things happen. The ones that want to dive deeper and indulge in trajectory changing conversations. Where x is a value that you have always looked for when making important life turning decisions of your life. Come explore what your f(x) is through these four spaces that would invite a string of inspiring speakers to help you do more, be more. This is where knowledge comes from, the hacks, the strategy to make things happen. In this space you will learn how others have made things happen, the approach to scale or the approach to happen to the world. From perfect brand recipe to creating new age content and to climbing the creative ladder. Spiritual experiences that expand the mind and the body, stirring the soul that allows realignment and decluttering. The soul is all about balance, exploring the world inside, speaking and understanding your inner consciousness. You will find yourself next to the river, experiencing calm while you realign and reset. Dynamic, Hands-on Workshops that allow artists, creators to engage with new materials and devices. This space is all about getting in on the action, creating something from nothing and try your hand at something you have never experienced before. and some of the brightest in the country! 3 Nights 4 Days stay at the luxury forest property. Experiences that expand the heart, mind, body and soul. Buffets for breakfast, lunch and dinner on all the days. F(X) is an invite-only festival. Our aim is to create life-changing impact for the lucky 150 that attend. The programme fee covers everything for the 3 nights & 4 days of the festival and starts from INR 23k. A small price to pay for a meaningful and an experience of a lifetime. 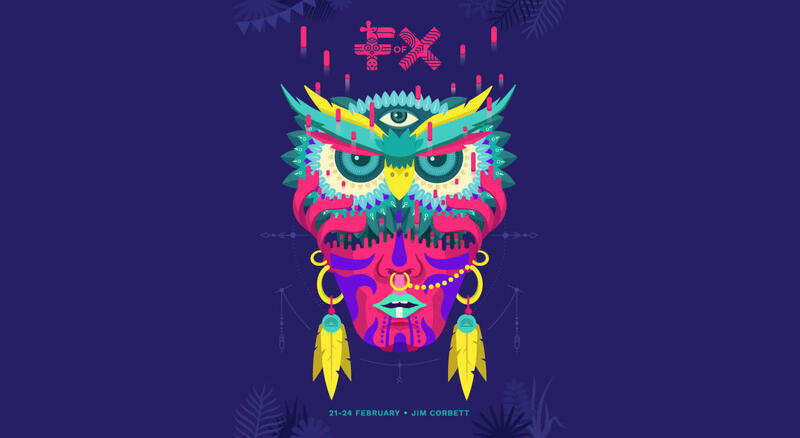 F of X Festival 2019 from The Experience Co. on Vimeo.